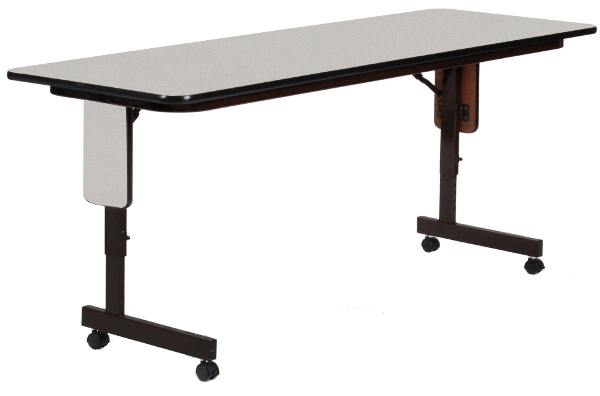 This training table is such a versatile table. It features an adjustable height and wheels. The table will adjust from 22 to 32" height, in 1" increments. The table includes casters for easy moving. There are 5 standard colors to choose from. 24 x 60 CLR-SPA2460PX 63 lbs. 24 x 72 CLR-SPA2472PX 70 lbs. 24 x 96 CLR-SPA2496PX 85 lbs.